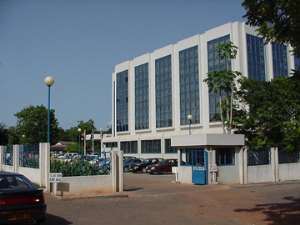 Accra, 29 Oct,Daily Guide – Ghana has finally acquired full ownership of Volta Aluminium Company (VALCO) President John Agyekum Kufuor, who announced this at a durbar of chiefs and people of Suame Magazine in Kumasi, announced that his government has purchased document, has been laid before Parliament for discussion and approval. $18m, instead of the proposed $35m. Consequently, he declared, four companies from the United States, Australia, Russia and Norway, have agreed to team up in a partnership with Ghana, to establish an all-embracing aluminium company. President Kufuor, therefore, called on the youth to avail themselves of this opportunity when the company commences business. The President pointed out that business and companies were opening up in the country, and he indicated that within the shortest possible time, Ghanaians would experience the real 'positive change' in their lives Ghana approves Valco purchase from Kaiser ACCRA, Oct 29 (Reuters) - Ghana's parliament has approved the purchase of 90 percent of the Volta Aluminum Company (Valco) from Kaiser Aluminum Corp. (KLUCQ.OB: Quote, Profile, Research) , the government said on Friday. "The passage of this motion effectively means that we have bought Valco...the only hurdle left was parliamentary approval," said Kobina Hammond, Ghana's deputy energy minister. "Valco will be Ghana's property by the close of today." The purchase for $18 million paves the way for Ghana to sell a large chunk of Valco to an industrial partner and create an integrated aluminium industry in the former British colony. Russian giant RUSAL, a consortium led by BHP Billiton (BLT.L: Quote, Profile, Research) and Alcoa (AA.N: Quote, Profile, Research) , which holds the remaining 10 percent of Valco, have all shown interest in mining and refining bauxite in Ghana, industry sources said earlier this month. The Minerals Commission, which regulates mining in Ghana, estimates there are 120 million tonnes of bauxite at Kibi in the east of the country.